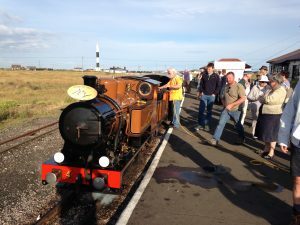 Formed in 2004, the Heritage Group, or more formally ‘The Romney Hythe & Dymchurch Railway Association Education and Heritage Portfolio Group’ as it is now known, was started by a small group of people who are passionate about the history of the Railway. We set about preserving artefacts and photographs of the Railway. This photographic collection alone stands at over 30.000 images. We are actively cataloguing these and looking for ways to best share them with the Association’s membership. We have a number of artefacts in the collection which are no longer required for the operational railway. We have been able to put some of these items on display in the past and will continue to do so. We have photographic displays at Dymchurch Station and in the Model Exhibition at New Romney Station. Running guided Heritage tours, where we visit locations around the line which are not normally open to the public. Staging reconstructions, such as the visit of the Duke of York (later King George 6th) when he drove the very first train in 1926. The Nonagenarians event in 2015 where we celebrated the 90th birthday of our first two locomotives Green Goddess and Northern Chief. As well as being responsible for running a special weekend we produced a commemorative book. 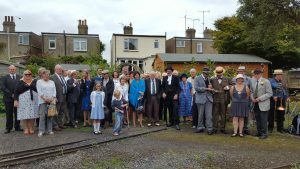 In 2017 we staged a weekend which marked the 90th birthday of the opening of the railway. It saw the descendents of our founding fathers visit the line and travel behind locomotive No 5 which had hauled their predecessors on the inaugural train on 16th July 1927. We were partners in producing ‘Romney Then & Now’ a high quality book showing how the line has changed (& not changed) since 1927. 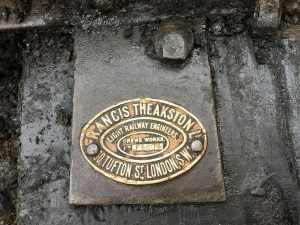 Renewing the replica armoured train – more details here. Establishing an Interpretation Centre to help tell the story of the RH&DR to our visitors – more details here. The RHDRA has been supporting the railway for more than fifty years. 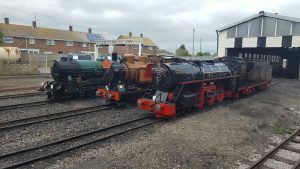 Copyright © 2018 Romney Hythe & Dymchurch Railway Association, a charity registered in England. Registered Number 1127688.